Viknesh Vijayenthiran July 19, 2018 Comment Now! There was a time when Nissan's in-house tuner Nismo was known for serious performance cars, and that's still true to a certain degree in the case of the GT-R Nismo. Today, though, you're more likely to see the Nismo label attached to things like CVT-equipped econo sedans and underwhelming city cars. Now there's a Leaf Nismo. 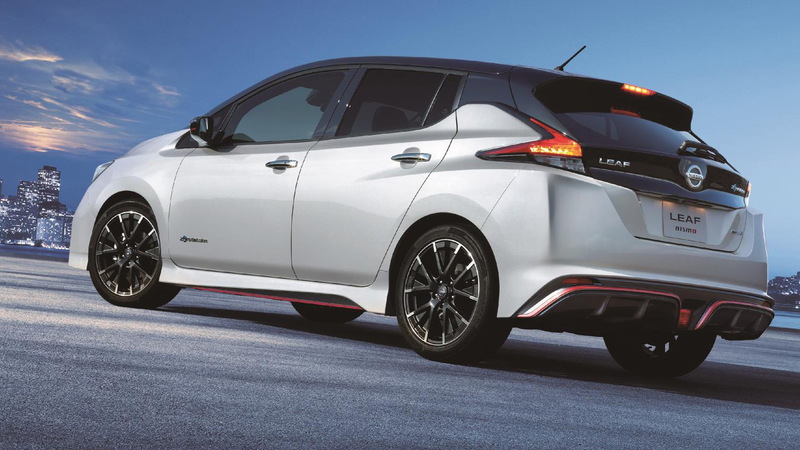 Unveiled Thursday, the Leaf Nismo has so far been confirmed for Japan only, where hopefully it will stay. Too harsh? Let's look at the upgrades. You're looking at a stock 2018 Leaf with an electric motor at the front axle generating 147 horsepower and 236 pound-feet of torque. 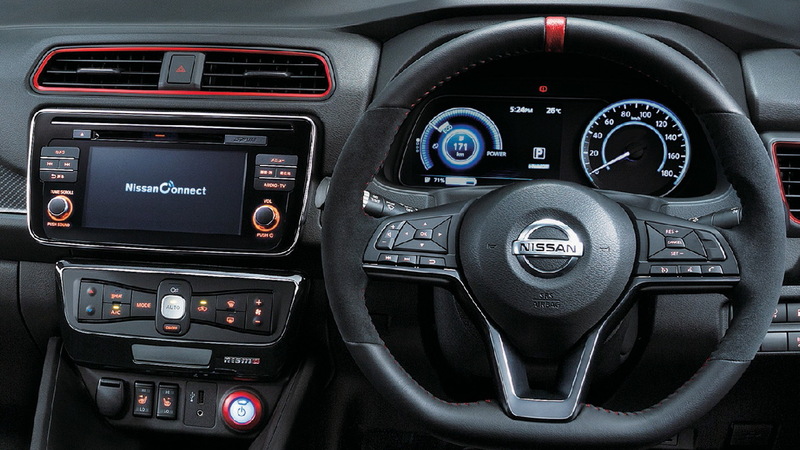 For the Nismo transformation, the engineers have tweaked the powertrain software to deliver more responsive acceleration. They also tweaked the car's electronic power steering and suspension and added grippier tires to improve handling. Everything else falls into the appearance category. The list includes a sportier front fascia and rear diffuser, which are said to increase downforce without adding drag, though you'll probably never go fast enough in the Leaf Nismo to benefit from this. Inside, there's a sport steering wheel, Alcantara trim, and carbon-like dash accents. There's also a handful of Nismo thrown around. 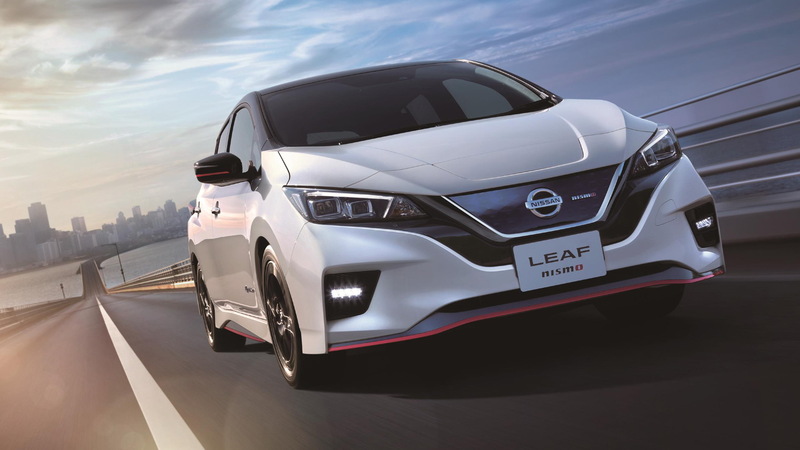 In other Leaf news, Brian Maragno, Nissan’s director of EV marketing and sales, revealed earlier this week during a press event for the start of Nissan's Formula E campaign some new details on the long-range Leaf coming for 2019. He said it will be called the E-Plus and feature a 200-hp electric motor. Its battery is rumored to have a 60-kilowatt-hour capacity and range of over 200 miles. The 2018 Leaf's battery is good for 40 kwh and 150 miles of range. Why the Nismo division didn't wait for the E-Plus model isn't clear.